Anodizing is an electrochemical reaction process. 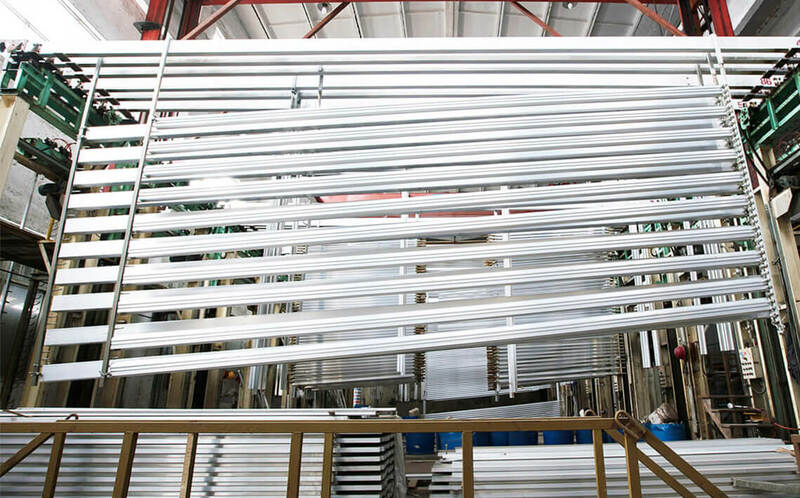 Immersing aluminum profile into acidic electrolyte solutions, here the aluminum profiles is an anode, the cathode is installed inside the anodizing tank. Under specific condition and electric current, forming an oxide layer on the surface of aluminum profile. The film thickness can reach 5-25 micrometer. After anodizing, you can get a smooth and clean surface. The anodized aluminum profiles have many benefits. Anodizing can increase the durability of aluminum profile. Anodized aluminum profiles have excellent corrosion and wear resistance, making the product more durable and long-lasting. You can also get colorful anodizing, like black, red, blue, champagne, bronze and gold color etc. Wellste anodized aluminum profiles can get different surface finish according to your request. There are sandblast anodizing, alkali sand anodizing, brushed and polished anodizing. Polishing can be divided into mechanical polishing and chemical polishing. Mirror surface also can be achieved. Wellste anodized aluminum profiles have been used in various industries. Anodized aluminum profiles can be seen in architectural and construction projects, in electronic and automotive industry, as well as in telecommunication and solar industry. Wellste manufacture and supply anodized aluminum profiles since 1996. We have 5 advanced anodized lines imported from German. Wellste has reached 100,000 ton annually production capability. Wellste anodized aluminum profiles have been exported to many countries and recognized by our customers. 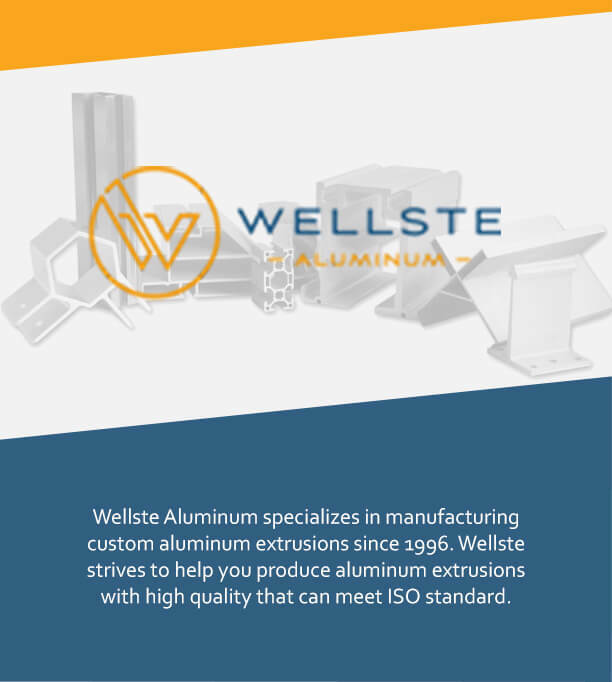 Wellste is a professional anodized aluminum profiles manufacturer and supplier. We welcome your inquiry. Our sales engineer will give you fast and warm customer service. Customer satisfaction is our ultimate goal and the common development with our customers is our rigid pursue.